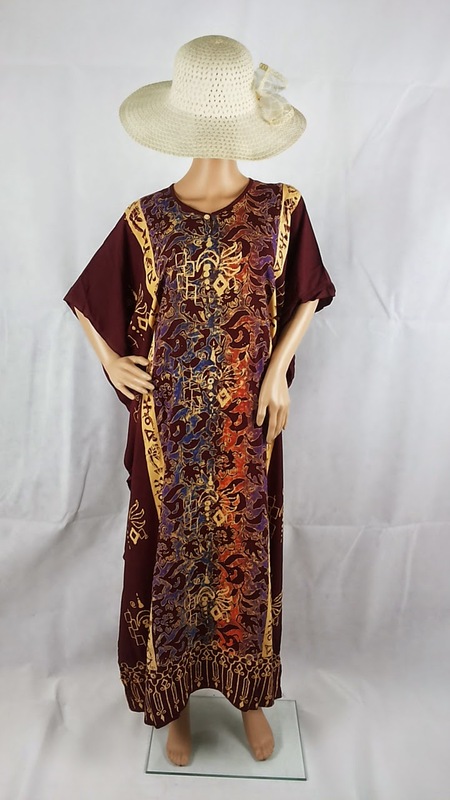 Block batik boho kaftan - rich brown background with ethnic designs. Fuji / Viscose Rayon Material. Indonesian Batik.